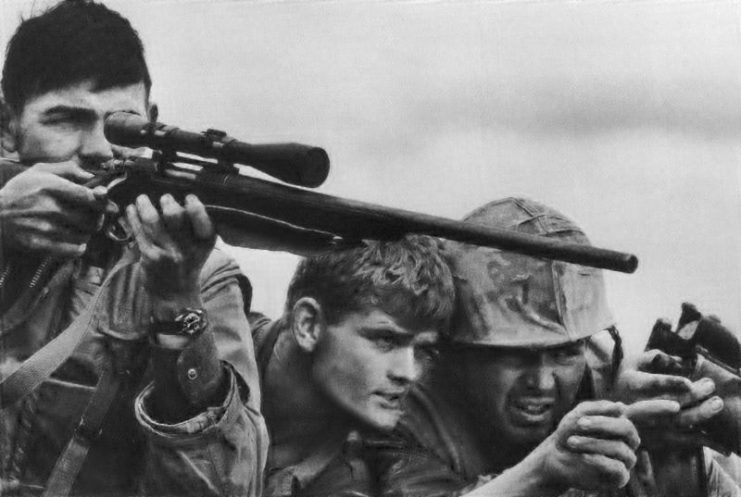 Recently, the New York Times ran an extraordinary article about the Vietnam War. In it were facts that have only recently come to light and illustrate exactly how frustrated the American military and political leadership were with the war and each other. 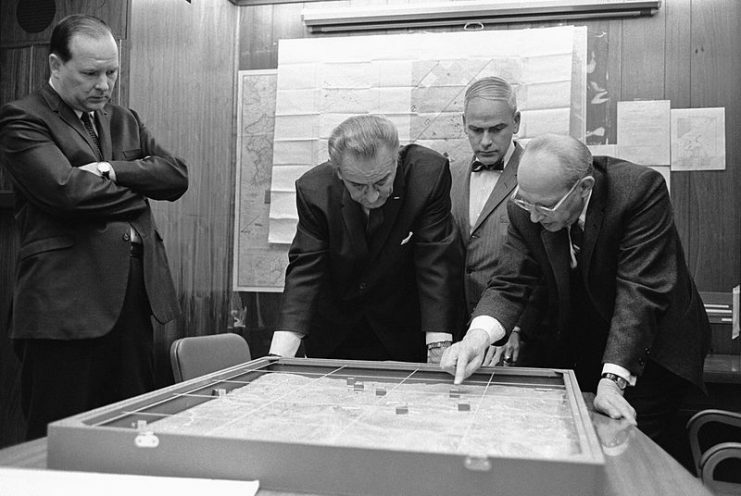 This news was that General William Westmoreland, overall American military commander in Vietnam from 1968-1972, activated a plan to move and potentially use nuclear weapons against the North Vietnamese. 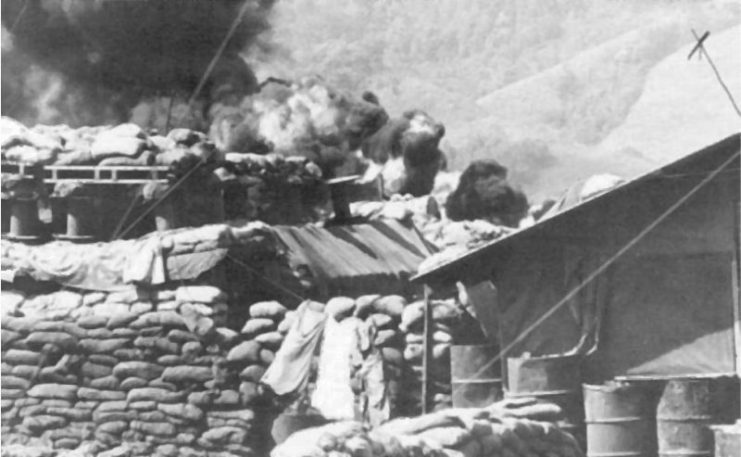 Recently declassified documents show that Westmoreland was increasingly nervous about the outcome of the siege of Khe Sanh, one of the biggest and longest battles of America’s involvement in Vietnam. In the end the engagement, which lasted from January to June 1968, proved indecisive. The Vietnamese communists failed to dislodge the Americans from their strategic base, and US forces withdrew from the area voluntarily after the siege had been lifted. In many ways, Khe Sanh was the Vietnam War in a nutshell: the US inflicted dire losses on the North Vietnamese and their Viet Cong allies, and the Vietnamese were able to engage the Americans in a long prolonged conflict with no clear ending. Sanh, especially its conclusion, sapped already poor American support for the war at home, and crushed American morale in the field. 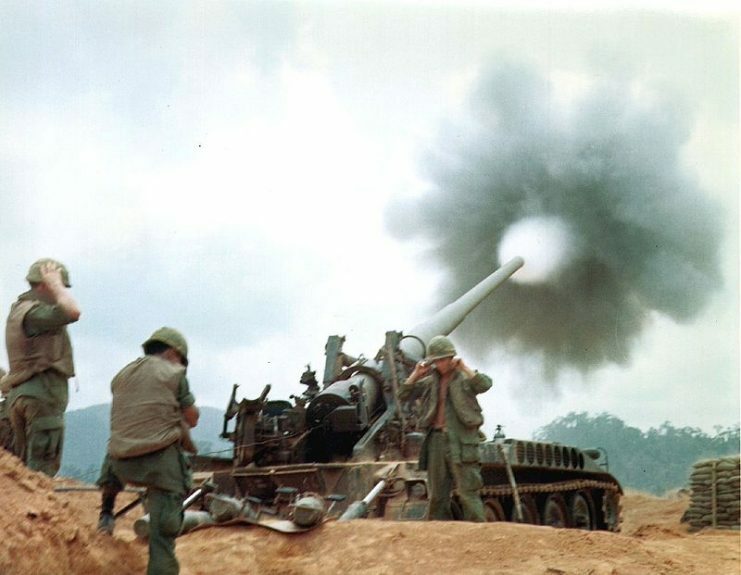 An Army 175-mm M107 at Camp Carroll provides fire support for ground forces. At the time Westmoreland began to act on his ideas, however, the siege was still going on, and not going well for the United States. People all over the world were comparing Khe Sanh to the French defeat in North Vietnam at Dien Bien Phu in 1954, which essentially put an end to French rule in Southeast Asia. 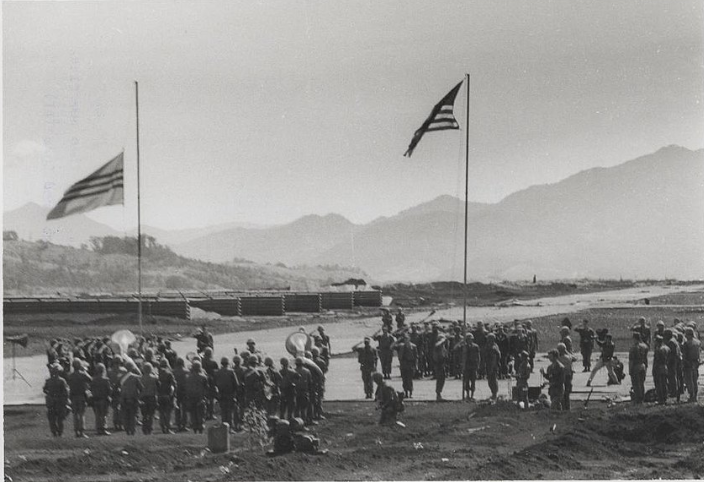 Khe Sanh began nine days before the North Vietnamese/Viet Cong Tet Offensive, which signaled to many in the West that the Vietnamese War was lost, despite victory on the field. As the siege at Khe Sanh went on, that feeling only grew. 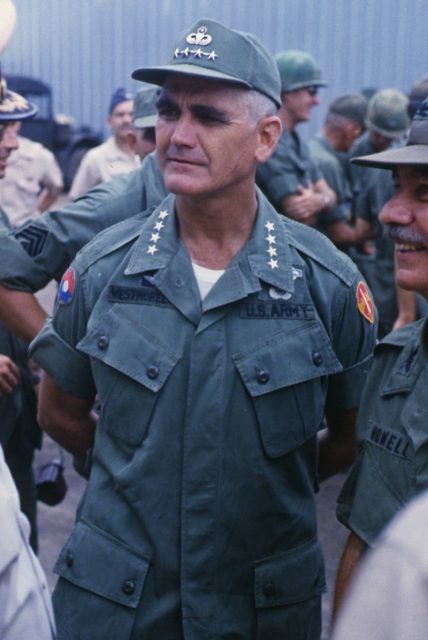 Westmoreland and the Johnson Administration were worried that a clear North Vietnamese victory at Khe Sanh would put yet another nail in the coffin of American involvement in Southeast Asia, and would cause even greater protest against the war in the United States. To that end, Westmoreland put in place a contingency plan – one that Johnson did not know about. Named “Operation Fracture Jaw,” the plan called for the movement of nuclear weapons from American bases in the Pacific and the United States to Vietnam in case of defeat at Khe Sanh. 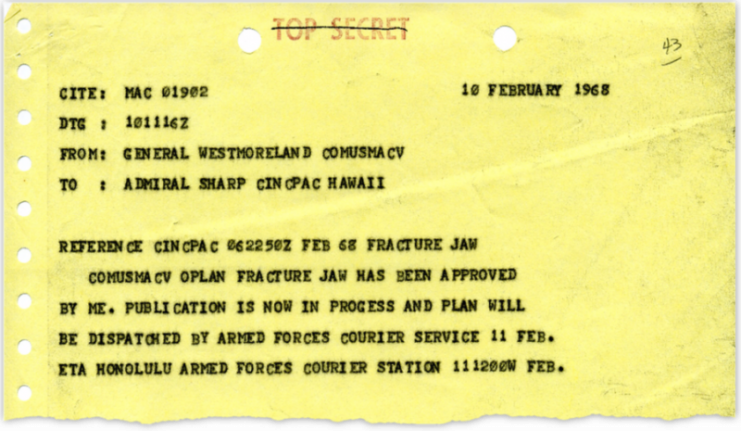 Westmoreland also communicated with other generals, such as General Earle Wheeler, the Chairman of the Joint Chiefs of Staff, and they discussed implementing “Fracture Jaw” as soon as possible, if circumstances warranted. 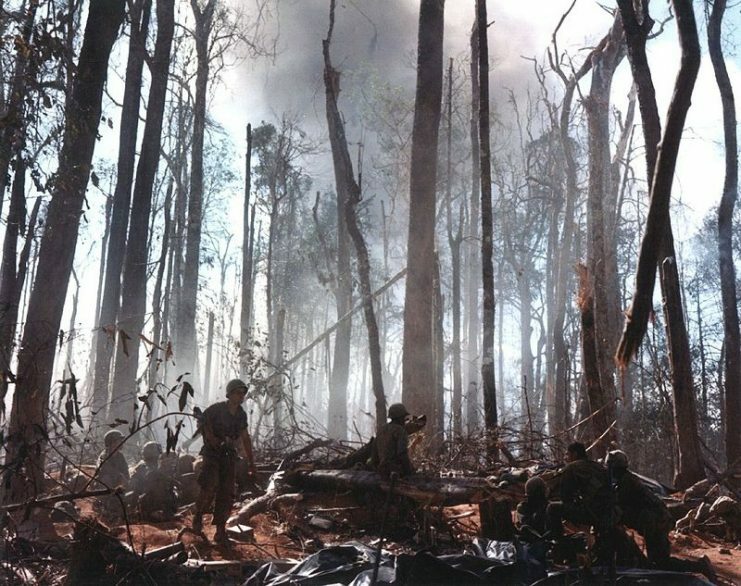 Combat on Hill 875, the most intense of the battles around Dak To. 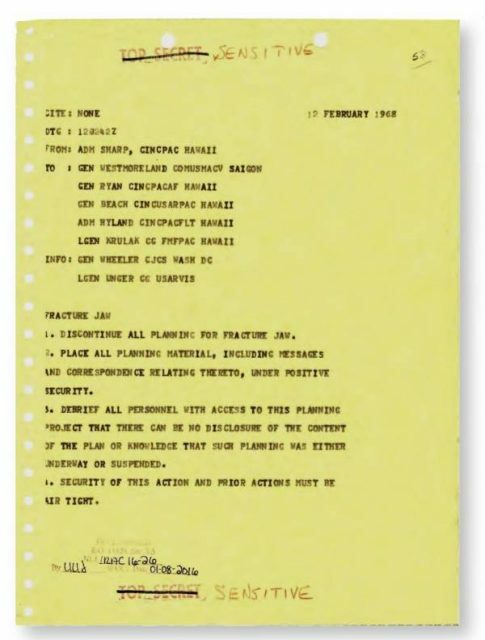 As often happens in Washington, there was a leak, and the National Security adviser to President Johnson found out about the “Fracture Jaw” discussions. 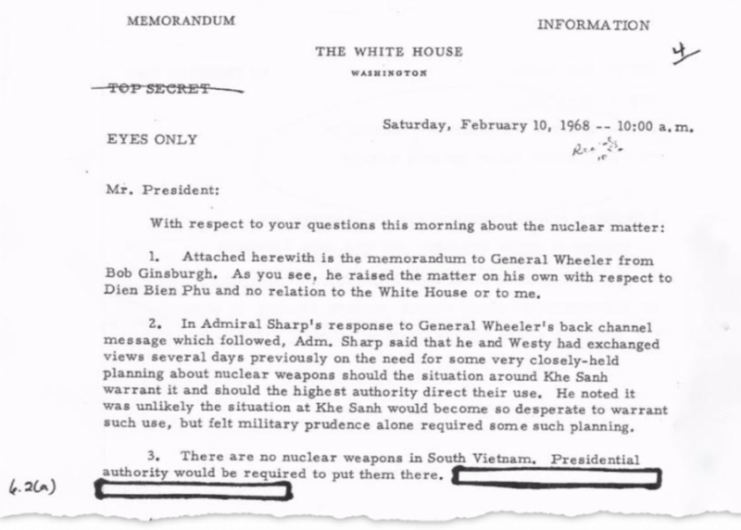 Of course, he notified Lyndon Johnson right away. 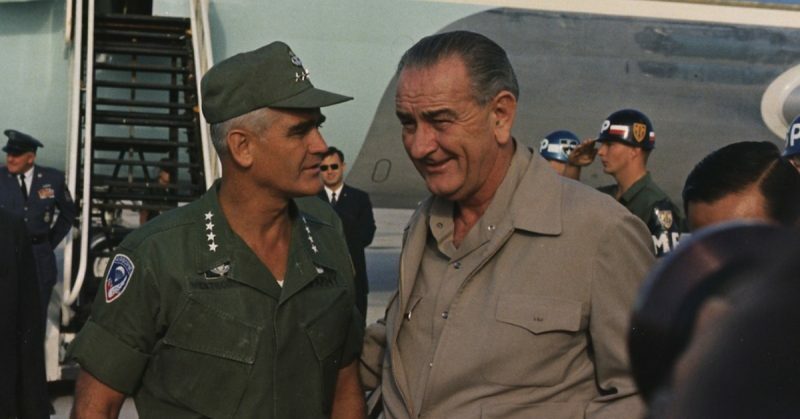 Johnson had grown exceedingly suspicious of the military as the Vietnam War went on, and with good reasons. Among them were the constant promises of victory, followed by requests for billions of more dollars to win the war. When Johnson found out about “Fracture Jaw” he was furious, and immediately issued an order to Westmoreland that left no room for misunderstanding. 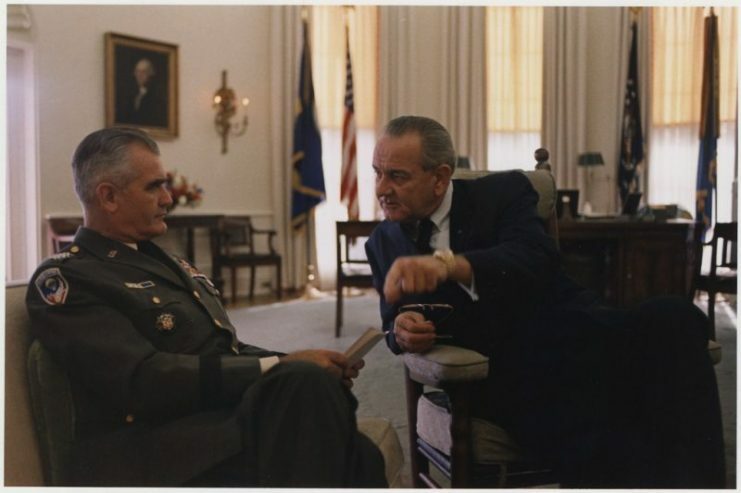 General Westmoreland with Lyndon B. Johnson in the White House, November 1967. That was the last anyone heard of “Fracture Jaw” until these documents were recently declassified. 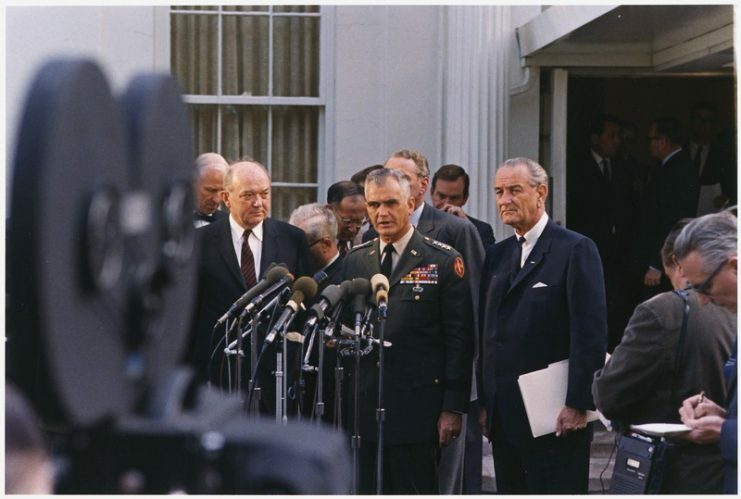 Press conference outside the White House in April 1968.Secretary of State Dean Rusk, General William Westmoreland, President Lyndon B. Johnson, others in background. Before the Cold War ended, many Americans wondered why the Soviet Union and China prepared for an American first nuclear strike. They told themselves, “We’re not the aggressive ones. If anyone starts a nuclear war, it will be the Communists.” Unfortunately, both sides had reasons to be suspicious of each other, and looking at the situation solely from the Soviets’ perspective, history would seem to bear out their idea that the Americans might strike first with nuclear weapons. The United States is the only nation to ever use nuclear weapons in war. The Hiroshima and Nagasaki bombs put an end to World War II. The point here is not whether the US was justified in their use or not, but that America had–and used–nukes first. After three years and thousands of deaths in Korea, incoming US President Dwight D. Eisenhower used the veiled threat of American nuclear attack to bring the Communists to the negotiating table. In 1962, John Kennedy went on television to let the American public, and incidentally the Soviets, know that any strike coming from Cuba against the United States would be considered an attack by the USSR on the USA. We learned much later that the Cubans, much to the Soviets’ chagrin, were prepared to take over Soviet tactical nuclear weapons in Cuba to repel an American invasion. 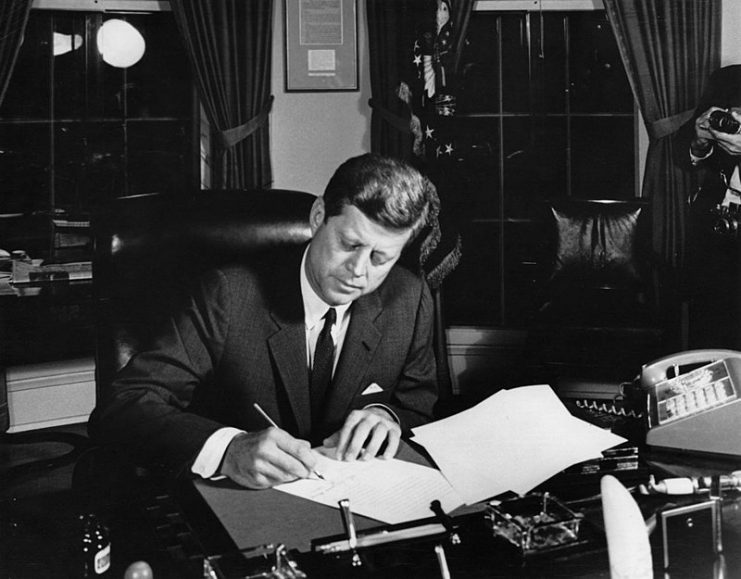 October 23, 1962: President Kennedy signs Proclamation 3504, authorizing the naval quarantine of Cuba. In 1981, President-elect Ronald Reagan let it be known by back-channels that he would consider using nuclear weapons to end the Iran Hostage Crisis. On the day Reagan took office, the hostages were released. The release of the “Fracture Jaw” information has already been blared in headlines in the Russia Times this week, as the new “Cold War” continues.